Natural scientist Axel Wenblad is a new honorary doctor at the Faculty of Science. He has been appointed for his contribution to the development and revamping the Faculty of Science at the University of Gothenburg. “I feel extremely honoured and very humble about receiving this appointment,” Axel Wenblad says. The question came like a bolt out of the blue. Axel Wenblad was in China at the time, it was four o’clock in the morning, and after the phone call he could not get back to sleep. Axel Wenblad advocates that research must be carried out in collaboration with the outside world and enjoy a close relationship with both public authorities and businesses. “But this isn’t always the obvious way, because it is more rewarding from a scientific point of view to immerse oneself in one’s own subject area rather than work across sectors, which of course involves having to listen to and learn from others. Still, I think this is an important perspective,” Axel Wenblad says. Axel Wenblad has a university degree in Chemistry and Limnology (the study of inland waters), and has previously held the post of Director General at the Swedish National Board of Fisheries in Gothenburg. He is currently Chairman of the Board of the Swedish World Wide Fund for Nature (WWF). In Axel Wenblad’s opinion, one of the two most important issues regarding the marine environment is to preserve biological diversity. “The other is that we have a fisheries administration that takes into account the biological conditions, and does so not just in terms of our food requirements but also to ensure that the fishing we do is sustainable in the long term.” It’s been going in the right direction within the EU. There is a fisheries policy in place as of this year, and this is a step in the right direction, but it also means living up to it. Seen from a global perspective, we still have a massive problem,” Axel Wenblad says. He has headed a government inquiry into marine planning for Sweden, and has worked on sustainability issues in trade and industry for various public authorities and the Food and Agricultural Organisation of the UN (FAO). He believes that researchers need to think about how their knowledge can be put to use. 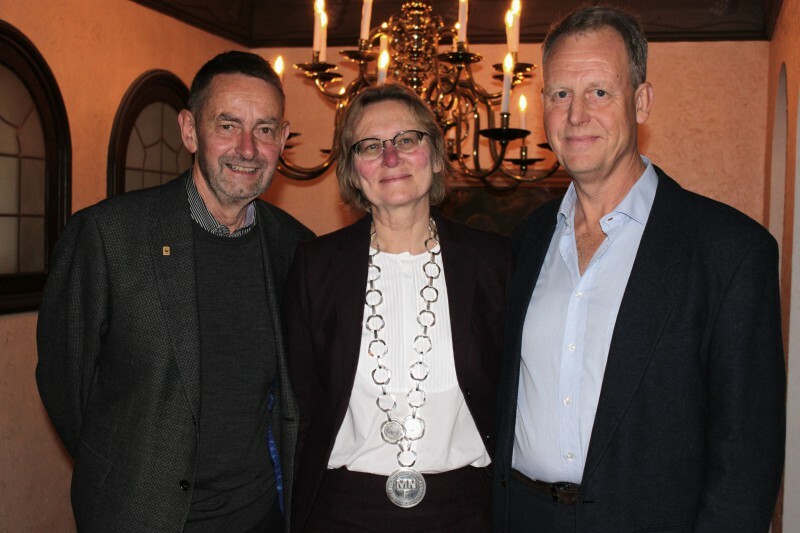 Axel Wenblad recently conducted an inquiry for the University of Gothenburg, Chalmers University of Technology and Region Västra Götaland regarding the creation of a maritime cluster for cooperation, work that he is continuing to head. “The cluster is in full swing now. One exciting aspect of this is that the University of Gothenburg has advertised for a professor in marine administrative law, who will be appointed shortly. And that is only one outcome of having established the cluster,” Axel Wenblad says.